Upper Beaconsfield Pony Club has approximately 60 riding members and meets on the third Sunday of each month. 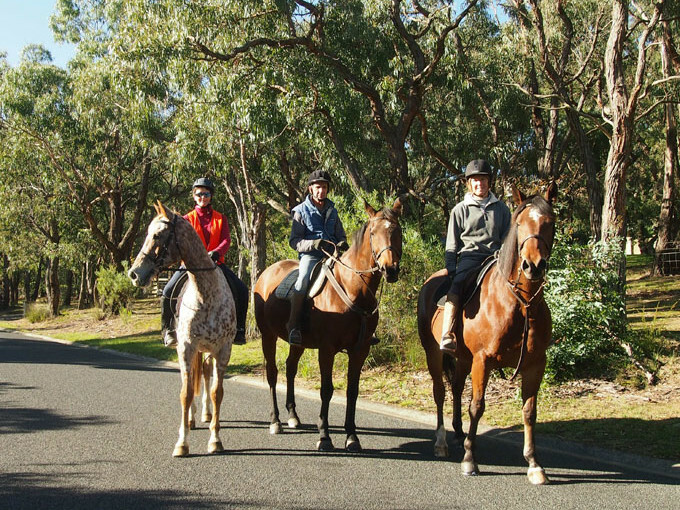 To encourage young people to ride and to learn to enjoy all approved types of sport connected with horses and riding. To provide instruction in horsemanship and riding and to instill into the members the proper care of their animals. As well as being involved in their everyday training activities our riders are often involved in a number of other interesting pastimes. These include activities such as camps, beach rides, cross country clinics and competing in inter pony club competitions in dressage, show jumping, eventing and mounted games. Monthly rallies catering for all levels followed by lunch. Annual Dressage Competition open to HRCAV club members. Special clinics once or twice a year. New member enquiries welcome. Normal meeting times first Sunday of the month. The Pony club and Riding club share premises at the Upper Beaconsfield Recreation Reserve. Facilities include a clubhouse, 2 arenas and ample parking. Wandarra Estate is a new equine agistment and rehabilitation facility. A series of programs and workshops on a variety of topics are on offer.